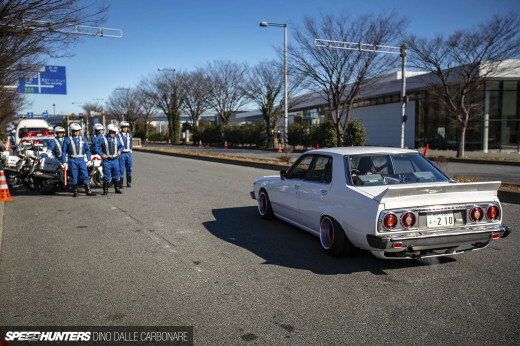 When tackling an event as massive as StanceNation Japan in Tokyo turned out to be, you have to be extremely selective with the cars you choose to show. I could go on for most of the year showing you guys spotlights of seriously cool rides, but that’s just not going to happen. So the hard job of choosing what to share is a tough one, but I do try to give you the best from each of the differing ‘styles’ that are always present at these type of gatherings. And this being Japan, there is never a shortage of crazy stuff from the ’70s and ’80s to indulge in. While the clean and meticulously restored cars are cool, it’s something with a little more attitude that often gets your emotions flowing. 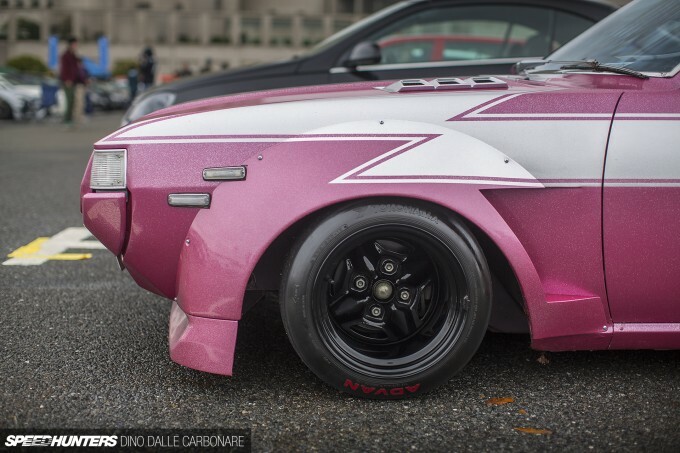 This Celica did just that! 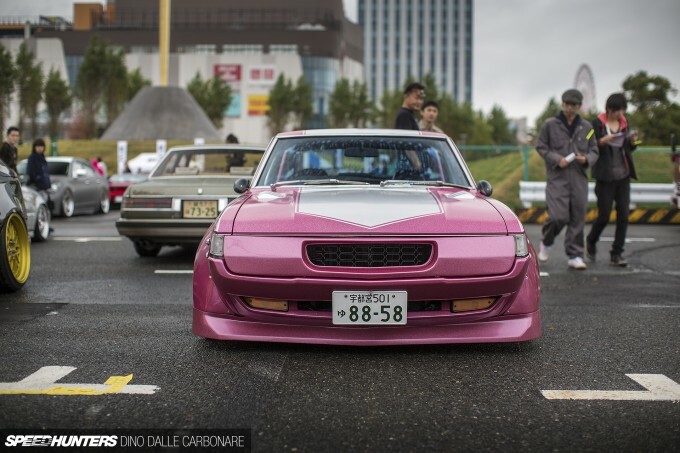 The Kaido Racer look has a variety of interpretations, and while this RA25 doesn’t have a massive extended front spoiler or takeyari exhaust, it nails the look well with a pink metal-flake exterior and contrasting silver racing stripes. Oh, and the custom-widened Toyota GT 4-spoke rims are a nice choice to fill out the massive riveted-on flares up front. In keeping not one, but two sections of fender widening in place, there’s lots of riveting at the rear as well. The 18R sitting in the black and metal-flaked engine bay was running bigger carbs breathing through a quartet of velocity stacks, with no sort of filtering to be found. The Fiamm air horns were something the owner really wanted me to take notice off, telling me they go ‘parira parira’, which is Japanese onomatopoeia for The Godfather‘s theme song. The cabin was spotless and even included a period correct Cherry Coke from the mid-’70s in the passenger’s side door drink holder. 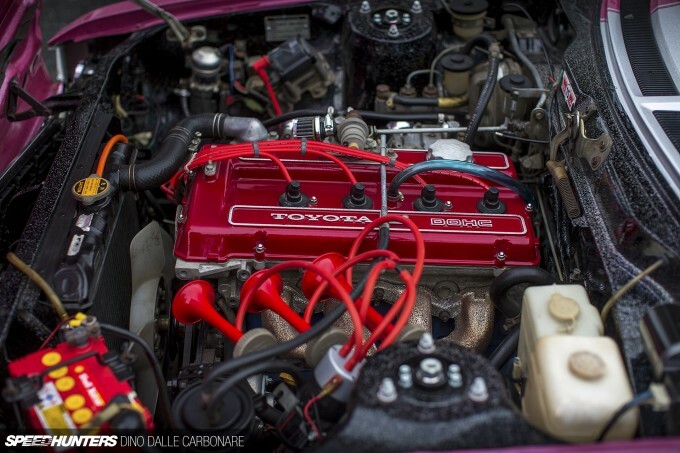 There is nothing quite like one of these vintage JDM cars, especially when it’s infused with a massive dose of additional Japanese-style by its owner. 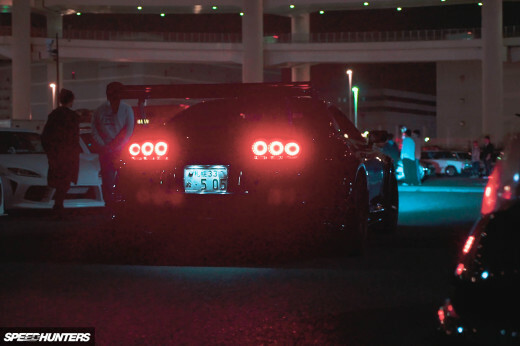 Stay tuned for more spotlights from StanceNation Japan! Awesome find, Dino! I can't wait to see what else you've got lined up in the future. CameronPhillips Haha awesome video find! 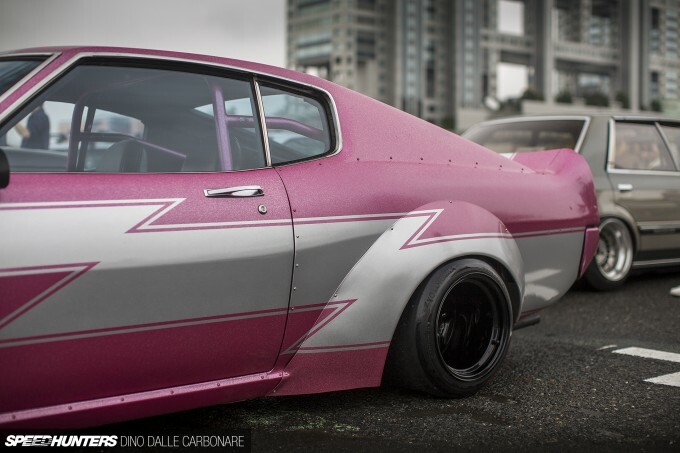 I think I read somewhere that the Toyota Celica was inspired by the Ford Mustang. This came to mind because the silhouette of this car and the 2nd gen 74-78 Mustang are very similar. 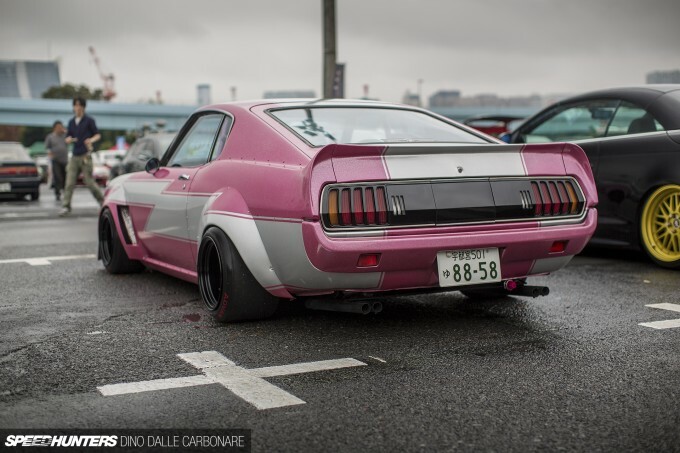 It would be an interesting project to turn the most hated of Mustangs into a bosozuku style project complete with V8 and wheel arches. Taryn Croucher thanks for the link Taryn! Looking for a setup the moment I post this message. Brilliant! That's going to bug the living daylights out of people! Super cool car, would be so awesome to go for a cruise in it! Looks great! The important question: Is that Cherry Coke still good? 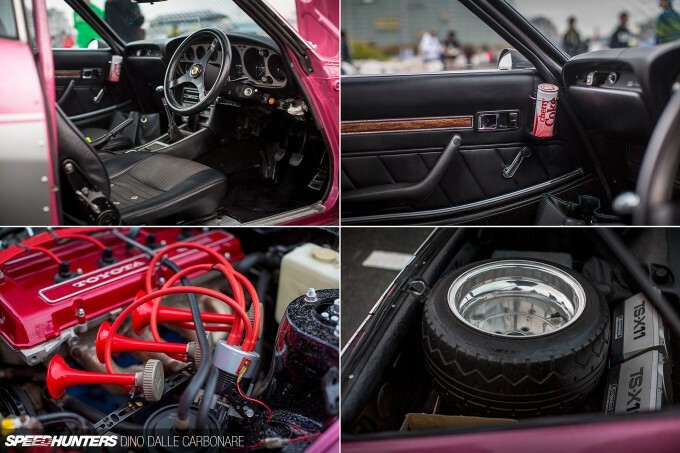 So much of this car Hosohiro-san has never posted enough of - like interior or engine! So I find even the familiar car is now surprising me. I like his Jaguar as well - something very different in Japan. 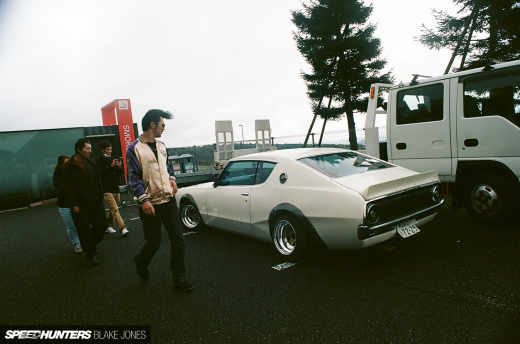 Ah, the good 'ol Kaido Racers, crazy in style but still looked awesome. As for a proper Kyusha, you gotta have those Pioneer TS-X11 speakers on your back shelf ! not just any 18R, an 18RG Yamaha built head. 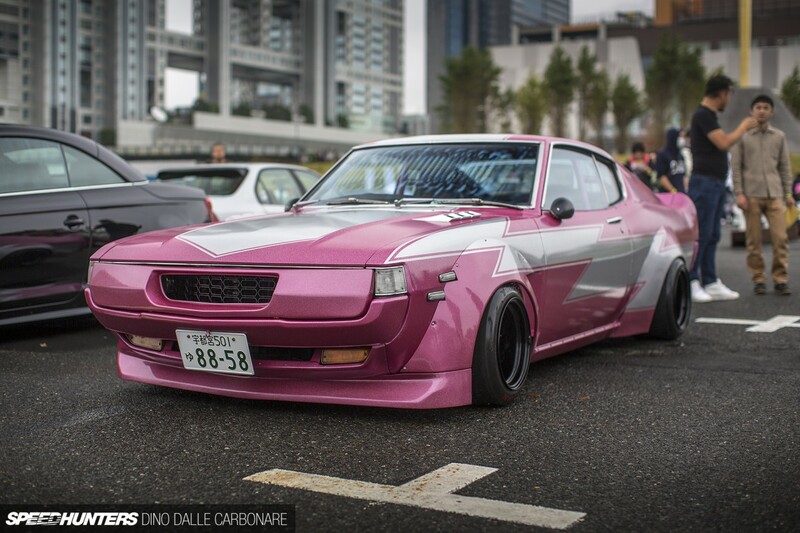 Holla atcha boi c22tch They call them mustang back Celicas. Hopefully going to run these on my mazda. Christmas prezzie yo! I like to imagine the owner as a non-specific street fighter character. Everytime they get out, they must put on thier lucky headband and perform karate on someone. They then "finish them", get back into the car, drink thier soda and listen to some pop music made by a female singer in broken english. In the morning they wakenup and go to high-school where they take advanced chemistry classes and hide from the bullies, because they are powerless without thier car. Hell yea! I've been following this car for a while on Instagram! Absolutely love it! When I first glanced at the cover photo I thought "classic pro touring/ tran am racer"
is this a copy of a jap cartoon or comic? 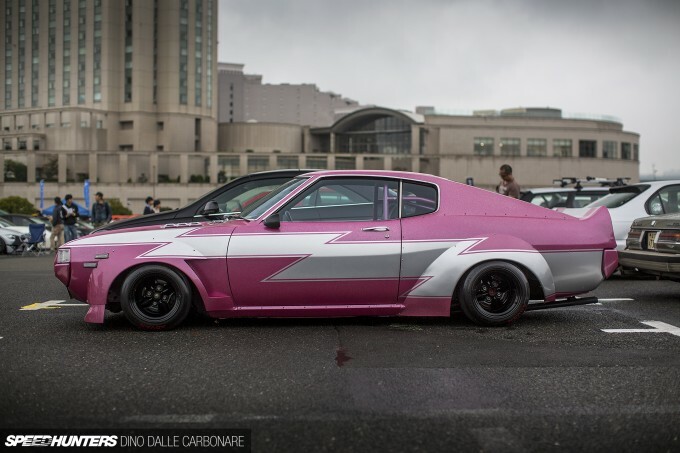 I'm often pretty leery about kaido racers, but this example hits the right balance for me. Absolutely beautiful machine.